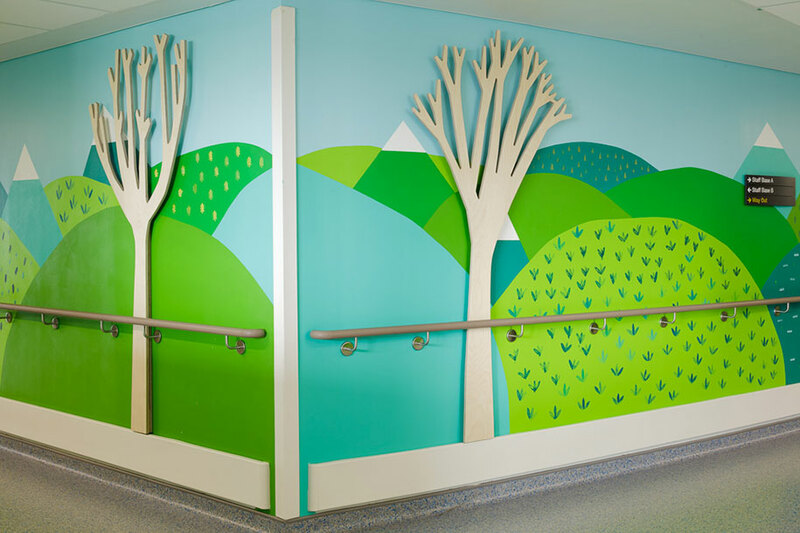 Wall Wraps Put Us in a Happy Place! 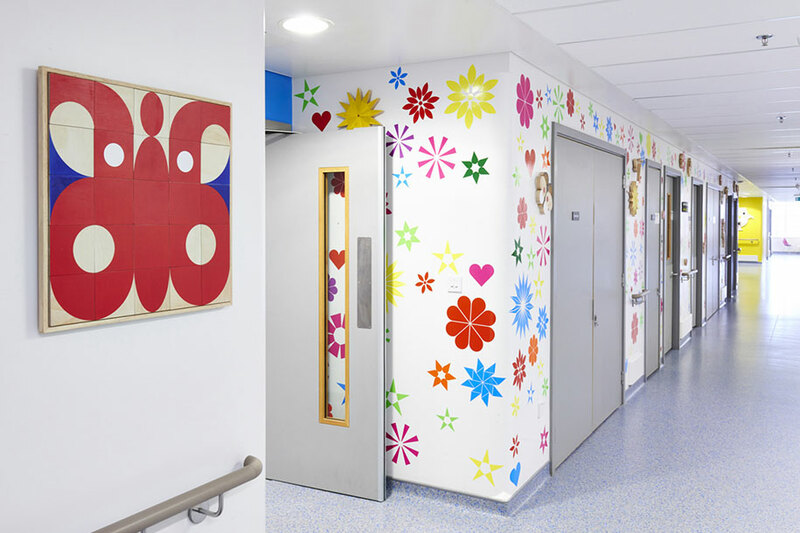 Who would have known that the simple use of vinyl designed into different patterns and art cut outs would turn a plain space into such a beautiful and creative environment. 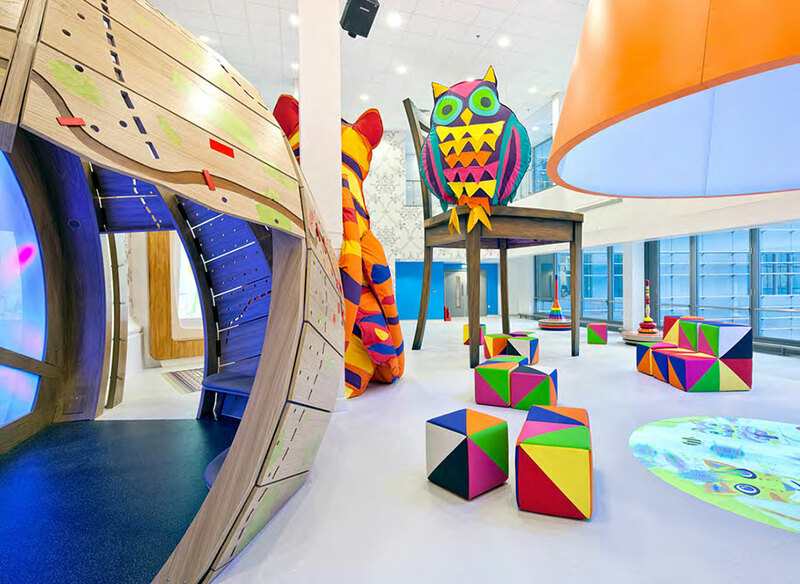 This children’s hospital was transformed to resemble a world far away from any kind, and help the children think of anything else besides their medical problems. 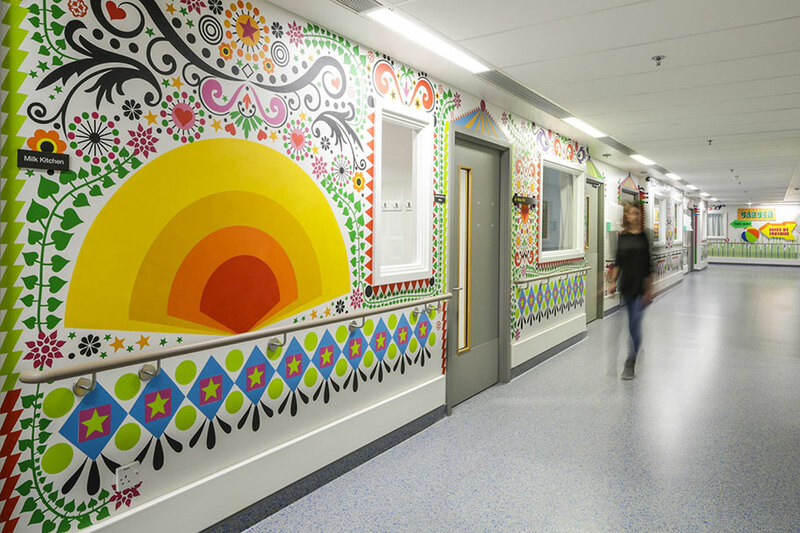 This is an initiative I wish to see become a part of our country and situated within the walls of our children’s hospital, encouraging them daily to stay strong, hopeful, happy and in an environment which will keep them comfortable. 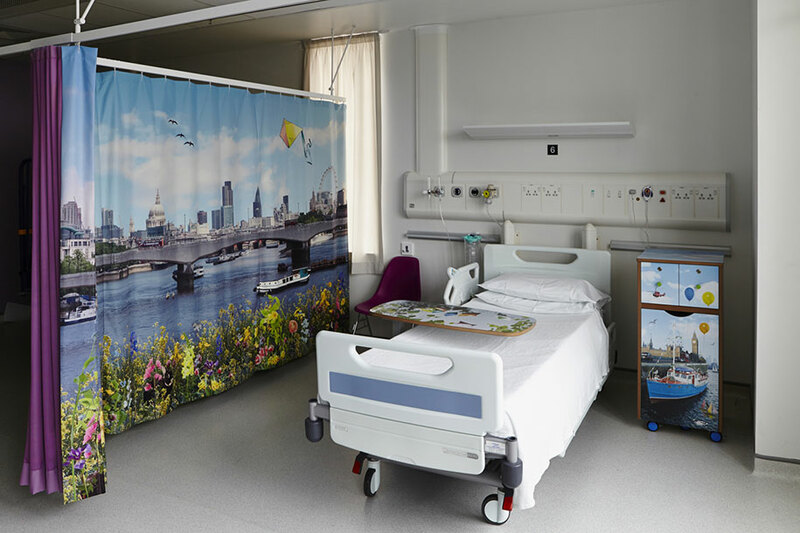 Hospitals are not fun, not only are you sick, but the food is horrible too and your surroundings are bleak and sterile. 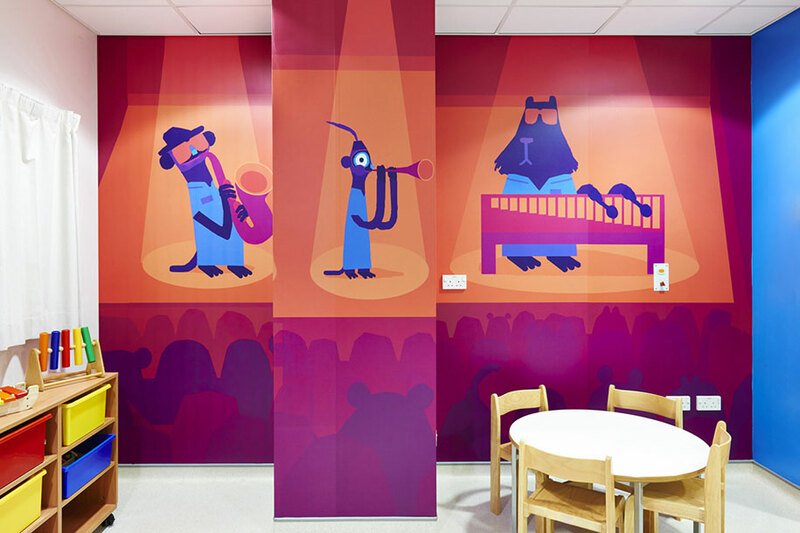 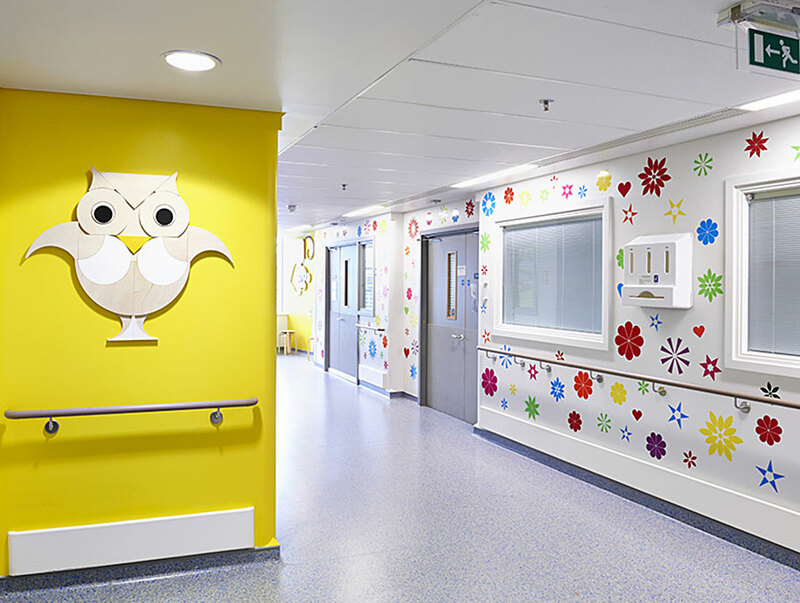 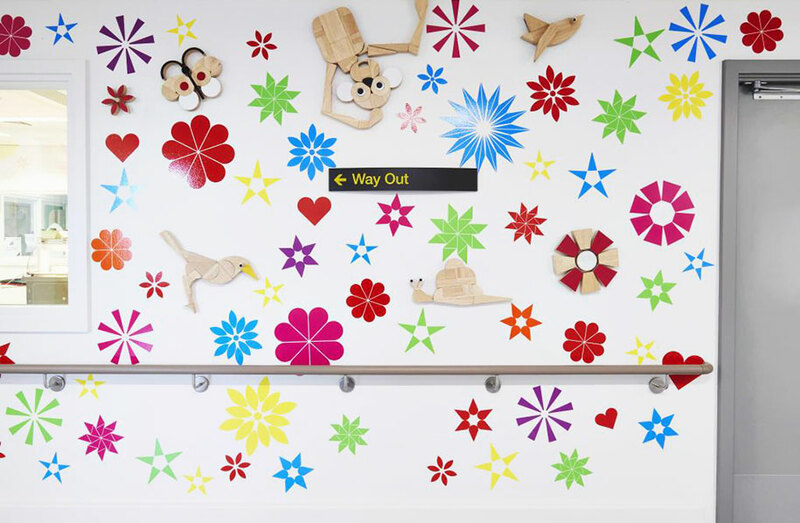 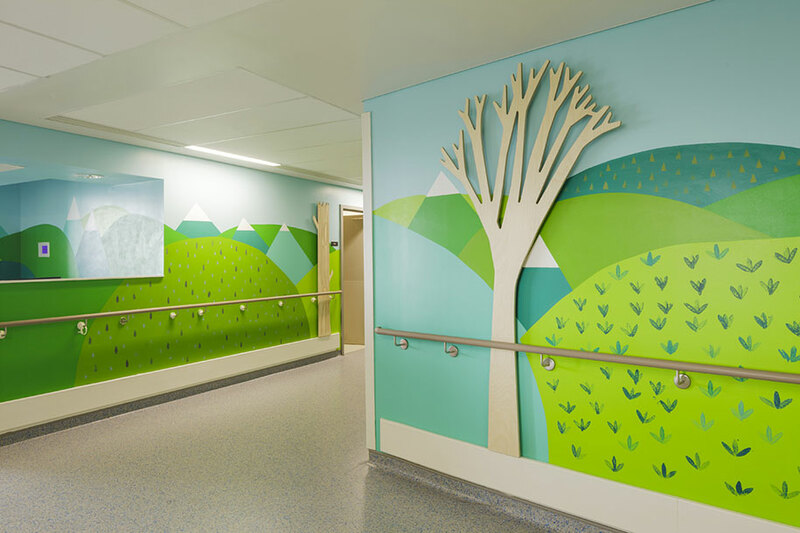 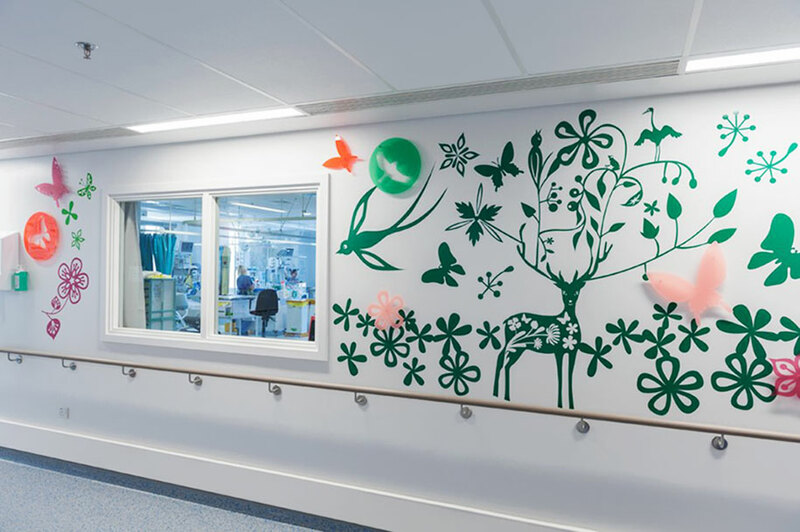 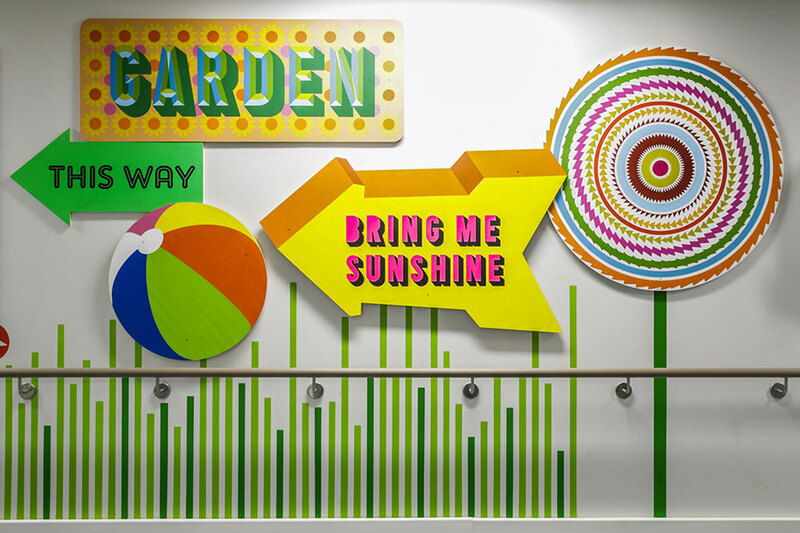 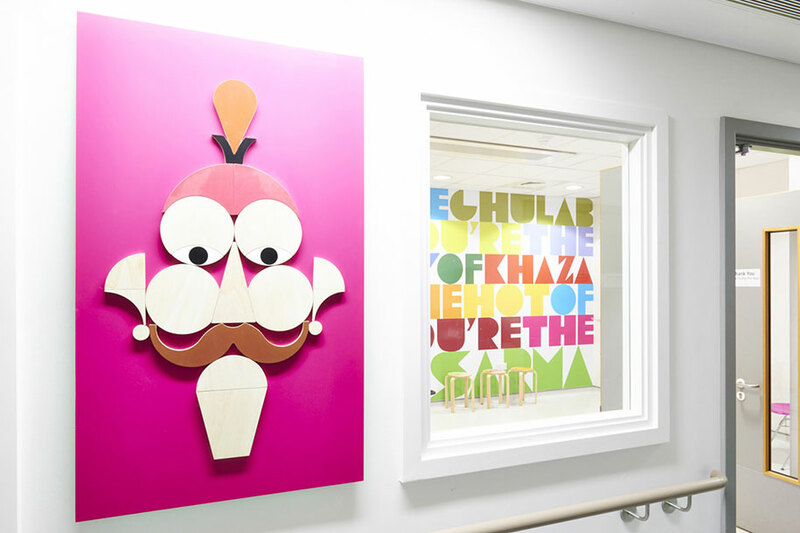 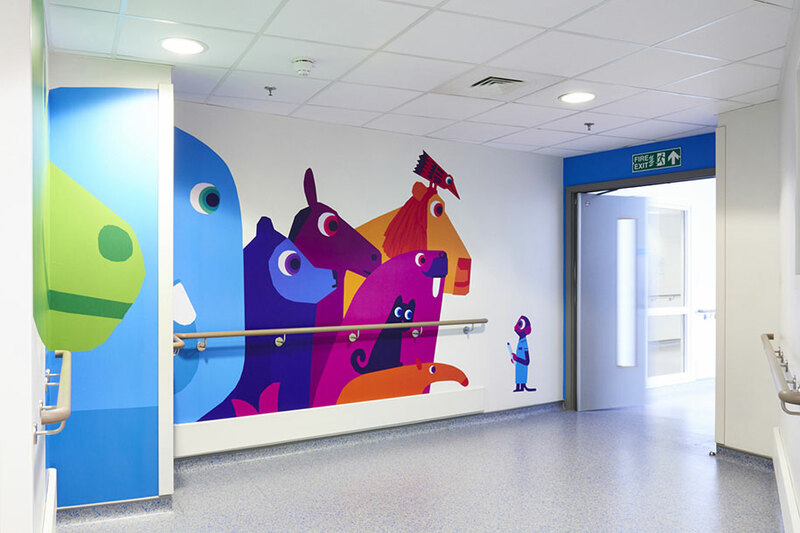 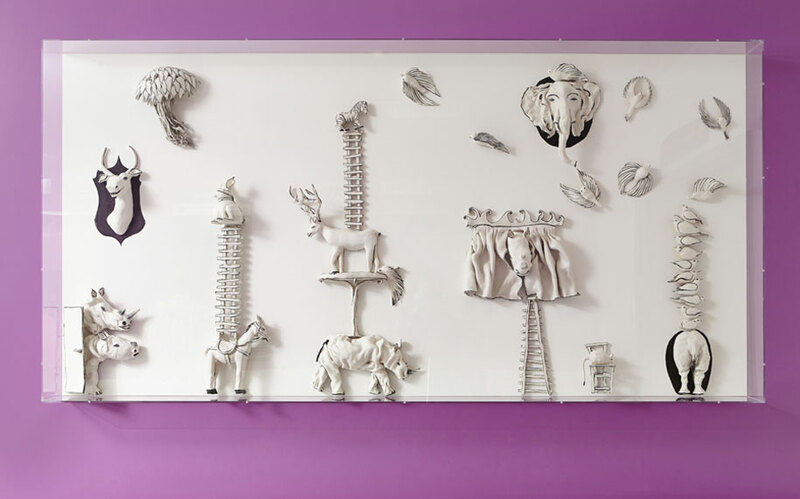 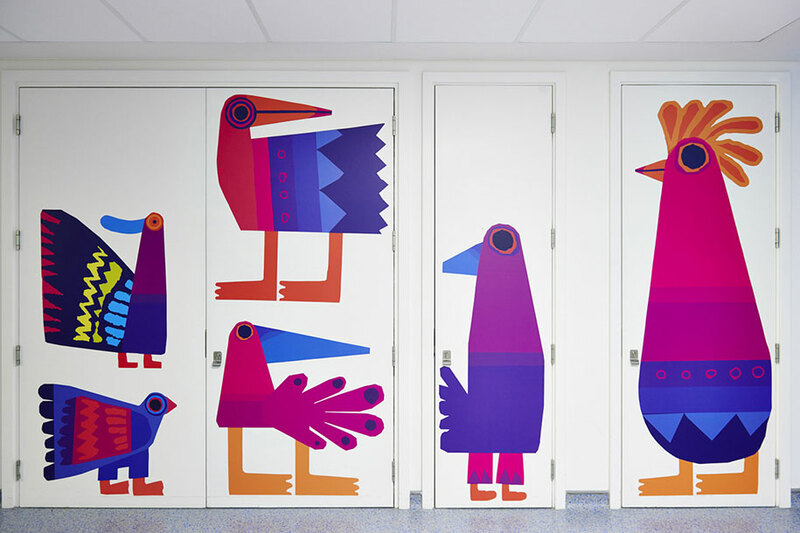 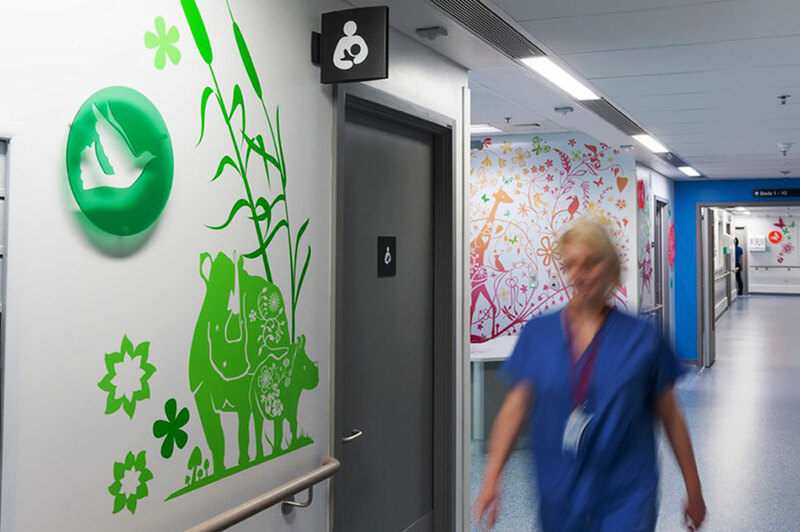 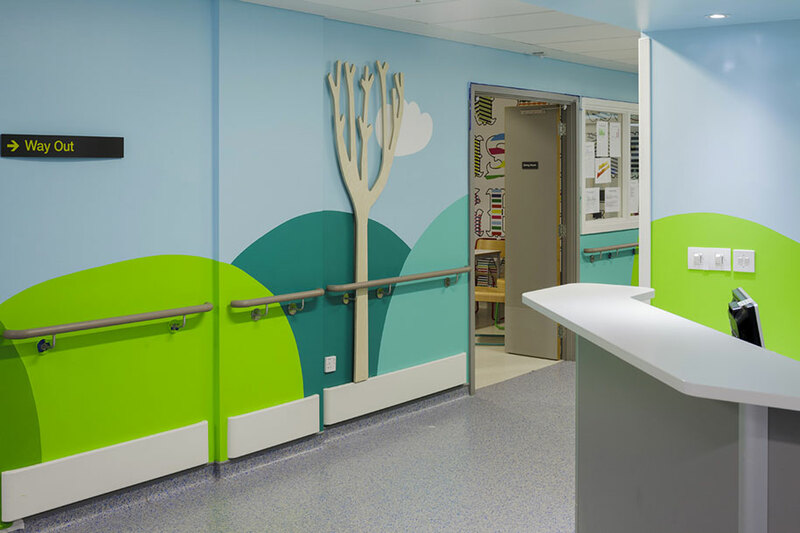 A British art organisation by the name of Vital Arts decided to transform London Royal Children’s Hospital into, a FUN place to be in. 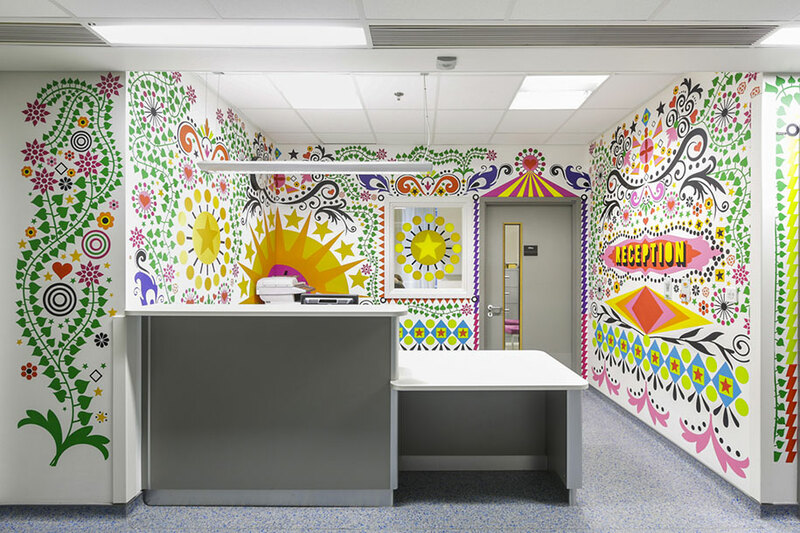 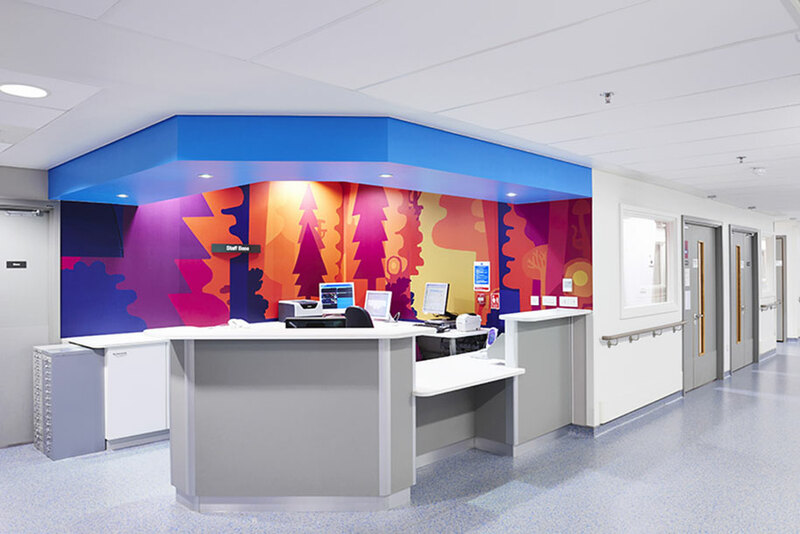 The project’s artists used vinyl, ceramics, rugs, wood and other assorted materials to decorate the hospital’s spaces accordingly. 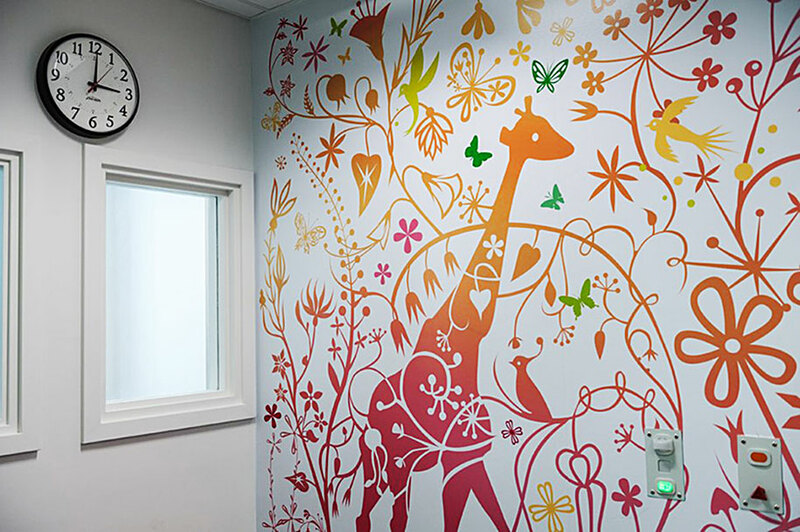 Vibrant colours and cheerful artwork of animals and nature adorned the walls to create a world of make-believe. 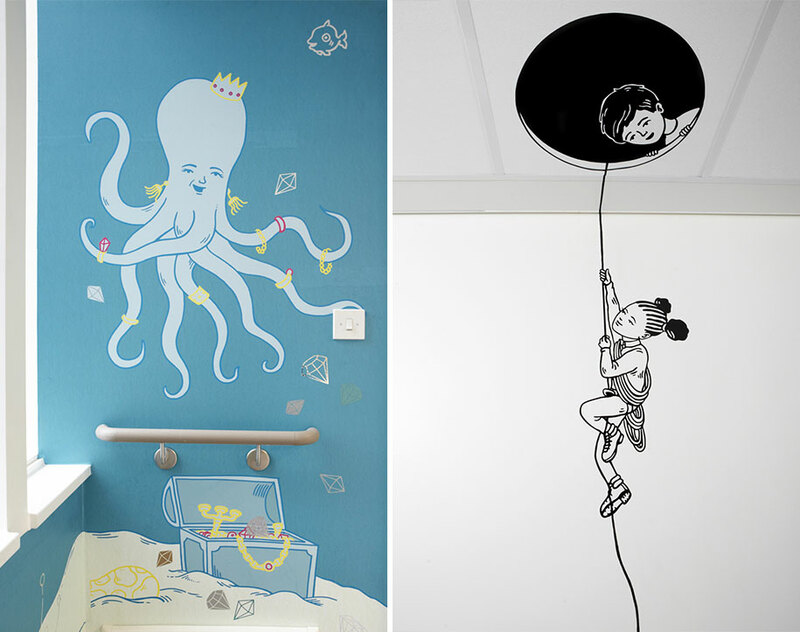 The hospital looks so good, that a child might never want to leave!! 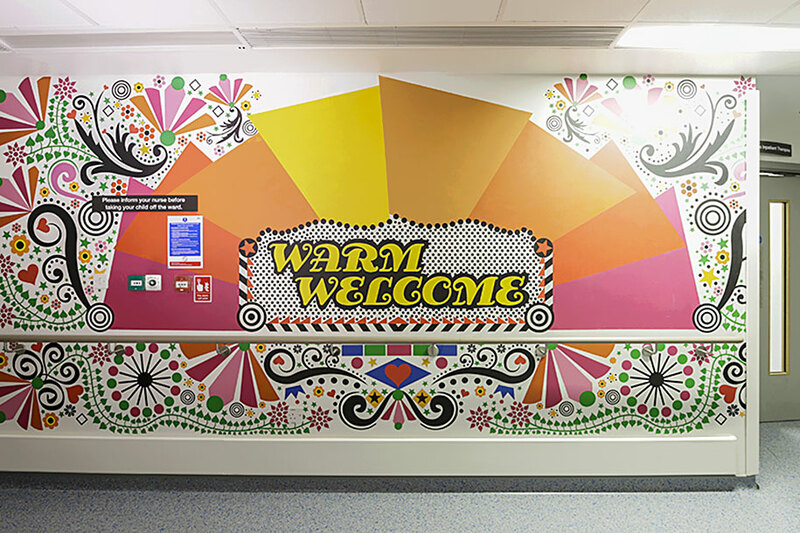 This is a heartwarming initiative created by those who care, for those in need.